In California, even one traffic ticket can be too many for your budget. That ticket mailed to you for running a red light is nearly $500. If you accept traffic violators school (TVS) and pay the fine without challenge, you will add another $65 or 70 for the court’s permission to attend TVS and then you’ll have to pay the tuition, and complete the training in class or online before the court’s completion date. However, if you are ineligible for TVS, merely paying the fine could cost you as much as $1500 more in increased auto insurance premiums. Therefore, the best way to handle too many traffic tickets is to call a traffic ticket lawyer for a consultation. Let’s say you got two or more of those red light traffic tickets. You received those tickets in the mail and ignored them because you didn’t have the money to pay them. Now you have a notice from the DMV, an Order of Suspension and Probation. When you fail to appear or resolve a traffic ticket, the judge can try you in absentia, find you guilty and levy a fine. When the DMV received the guilty verdict, they assess the appropriate number of Negligent Operator Treatment System (NOTS) points. 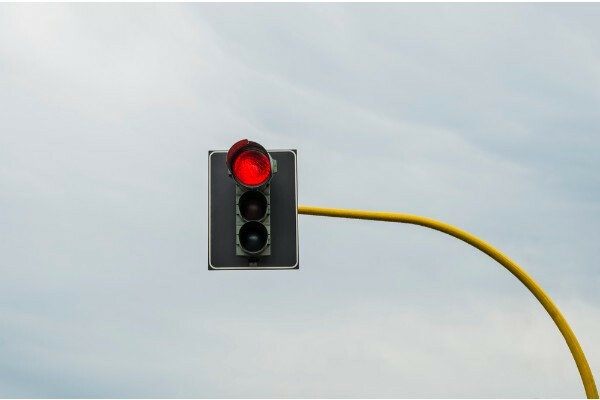 According to the CA Vehicle Code (CVC) 12810, Issuance and Renewal of Licenses, a red light ticket is one point. The DMV is authorized by the CA Legislature to assess NOTS points. All convictions of those violations identified in 1 (a) through 1 (e) get assessed two NOTS points. Other moving violations, except those defined in this section, “…involving the safe operation of a motor vehicle…” or an at-fault accident, will get assessed one point. The DMV does not assess points for non-moving violations or cell phone violations. The DMV and law enforcement consider these “fix-it” tickets. You get the condition corrected and bring the receipt to the police department, they sign your ticket and then you take it to the court clerk to pay any administrative fees. Drivers are allowed a maximum of four NOTS points within a twelve-month window, six within 24 months, and eight within a 36-month timeframe. When you reach one of these totals, the DMV will mail an Order of Suspension and Probation. Your 12-month probation will run concurrently to your six months of driving privileges suspension. The only way to avoid the suspension and probation is to request a DMV Hearing within ten days of the date the DMV sent you the notice. If you do not ask for a hearing, fail to attend or fail to get points removed from your driving record, your suspension will begin 34 days after the mailing of the notice. Although the DMV will tell you that you do not need a lawyer to represent you during the hearing, it is advisable to have representation by a traffic ticket attorney. These ticket defenders spend countless hours every week in traffic court. They hear many cases similar to yours and can use the information they have gathered along with their knowledge and experience to get points removed from your MVR. TVS can only be used once during any 18-month period, from the date of conviction to the next conviction date. That stipulation is why some attorneys will delay a trial for their client when they are close to the 18-month mark from a previous conviction. That way, even if they are unable to get the ticket dismissed or reduced to a no-point conviction, the defendant is eligible to attend TVS and might save the nearly $1500 on increased insurance. It is always advisable to consult a traffic ticket attorney before accepting TVS, to ensure your eligibility and ensure it will benefit you. If you have more than one ticket or a ticket for a non-moving violation, it will not benefit you to attend. You can only mask one ticket from public view. Click here to search for a DMV-approved TVS. Likewise, always choose DMV.CA.GOV. DMV.org and DMV.com addresses are private, for-profit sites. When you need advice or assistance with a ticket or multiple traffic tickets in the Los Angeles area, call Bigger & Harman, (661) 349-9300. Se habla Español 661.349.9755. We regularly represent clients in Glendale, Santa Clarita, Burbank, Long Beach, Inglewood, West Covina and many other Los Angeles County Traffic Courts. Email, attorney@biggerharmanlaw.com or send a personal message on their Facebook business page. Avvo and Nolo are two of our nation’s premier attorney referral websites where you can find client comments and feedback, as well as endorsements from other attorneys. Also, there are over 100 client comments on Yelp, an online review service.